EXCEL for Youth, a program of the SSU School of Extended Education, is a unique academic enrichment program that offers students entering fourth through ninth grades accelerated classes in science, math, technology, visual art, drama, and writing. Since its inception in 1982, EXCEL has grown from a schedule of 14 choices to offering over 50 innovative classes a year on the SSU campus. 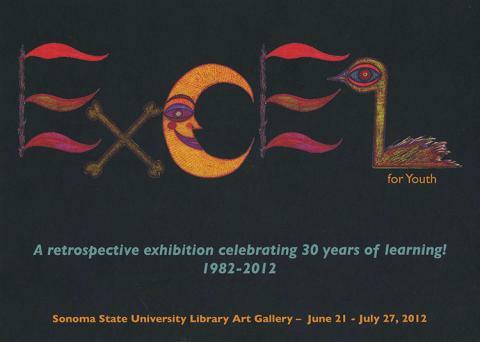 This exhibition is a retrospective celebrating 30 years of learning with EXCEL.